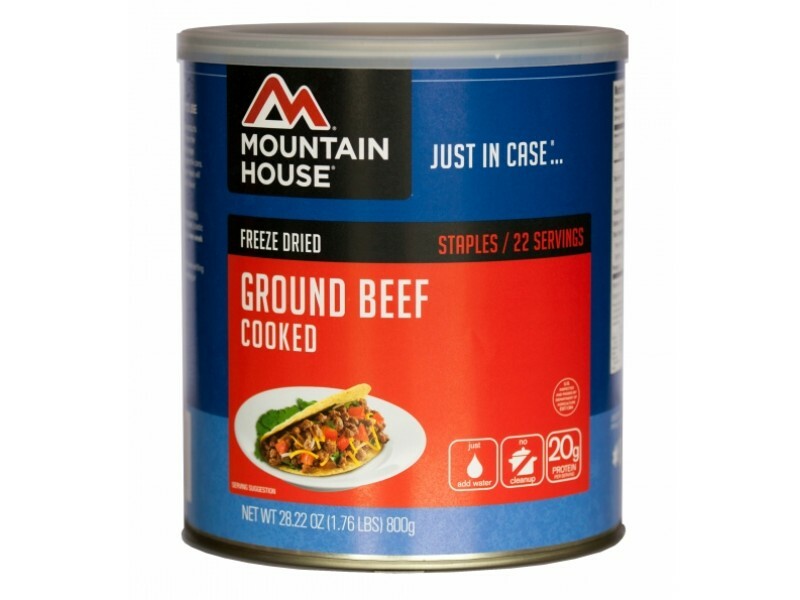 This #10 can of ground beef from Mountain House is fully cooked, and ready to prepare right out of the can. Simply adding hot water and waiting about 10 minutes, makes this one of the easiest meals you can make. Of course, it is also possible to add this ground beef to a variety of other recipes, making it an extremely versatile food. 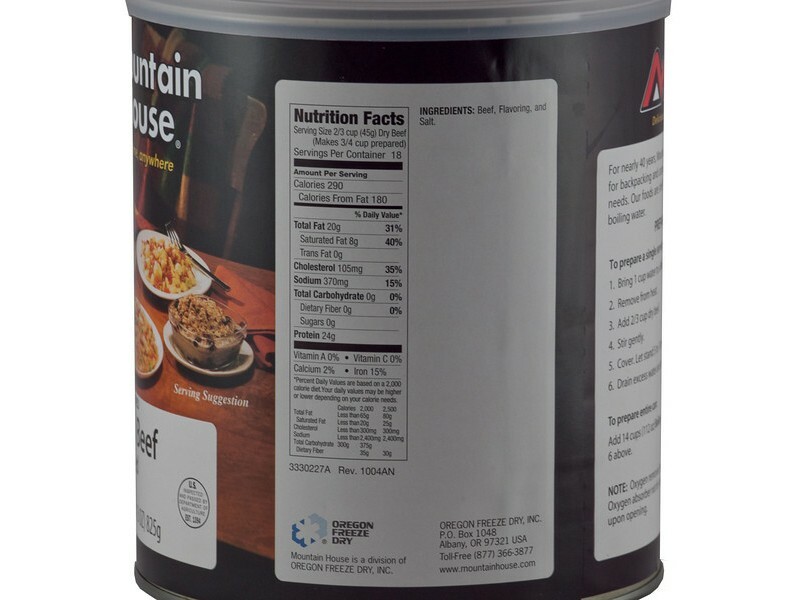 Everyone will love the taste of this item from Mountain House, and with such a large can, there will be enough for the whole family. 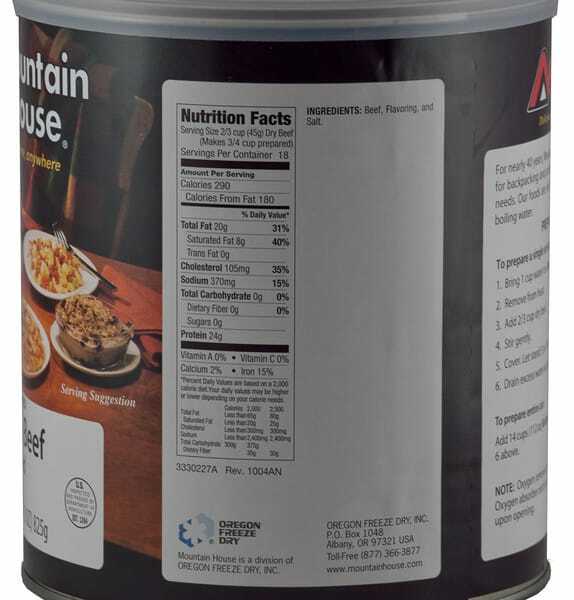 Each can contains 18 full servings of ground beef, and it is simple to make only as much as is needed for the meal, which helps to eliminate waste. 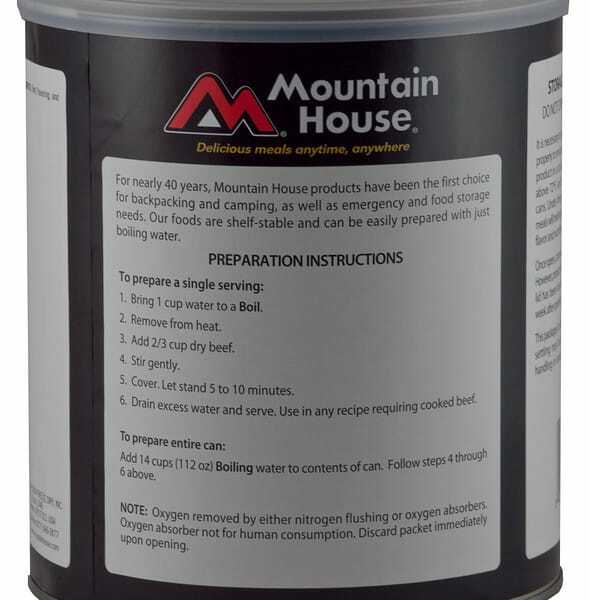 Before opening the can, it will last for 25 years or longer on the shelf, making it a great emergency food. 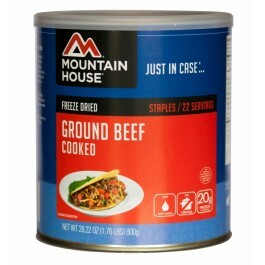 Once it is opened, the ground beef can last for a few weeks in the can before being prepared, or several days after preparation (with refrigeration). 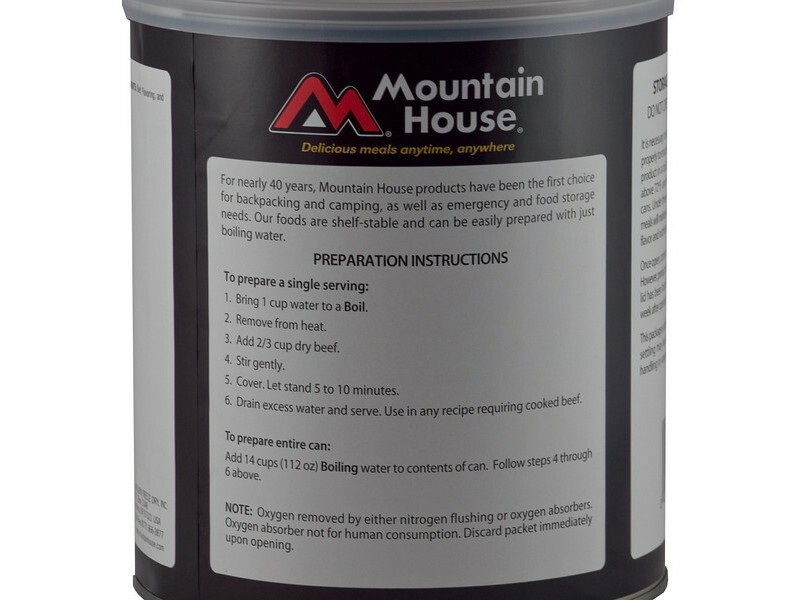 Whether it is consumed only during emergencies, or taken out on camping trips or hiking to help ensure everyone has enough to eat, it is an excellent source of high quality food for everyone. One can containes 18 3/4 cup servings.